According to the legends of Shiva Mahapurana, Lord Shiva- the god of disruption appeared in 12 different places across India, in the form of a fiery column of light. These sites are what we know now as Jyotirlinga and are worshipped as sacred shrines. 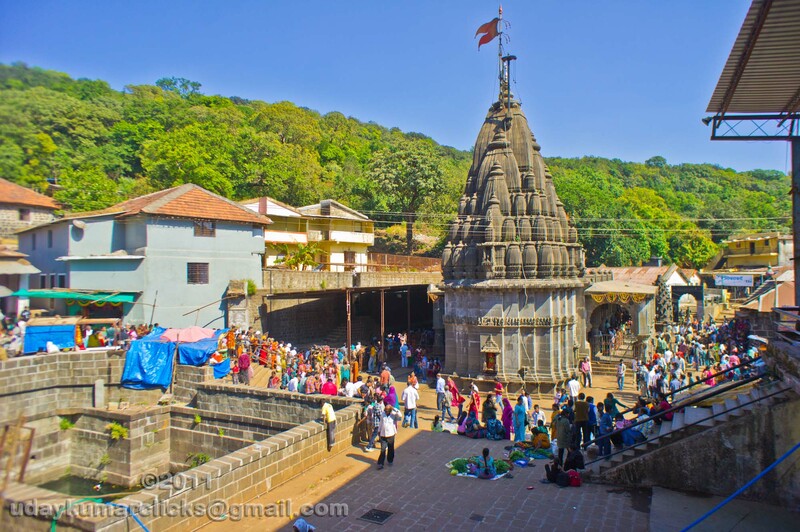 One such Jyotirlingam is enshrined in the temple of Bhimashankar in Maharashtra and remains a significant pilgrimage destination for devotees. The temple of Bhimashankar is located in the Bhorgiri village on the Western Ghats, about 125 Km from Pune, 240 Km from Mumbai, and 215 Km from Nashik. You can reach Bhimashankar from each of these locations in three to five hours. We recommend travelling by car from Pune to Bhimashankar as this route is the most scenic and the road is in excellent condition. The best time to travel to this temple town is between the months of August and February since the summer months are harsh. However, if you are a trekker or nature explorer, you might find the rainy season more alluring, as the landscape turns lush and verdant during these months. The Bhimashankar Temple sits on the Sahyadri mountain range, about 50 Km northwest of Rajguru Nagar near Pune. It is also the source of the Bhima river which flows southeastwards and merges with the Krishna River near Raichur. The temple itself is a site of architectural wonder. Designed in classic Nagara style, the structure reflects fine artistry of the ancient Vishwakarma sculptors. Modest yet elegant, the main structure of the temple dates back to 13th century. Later in 18th century, Nana Phadnavis of the Great Maratha Empire added the temple spire (shikhara), the assembly hall (sabhamandap), and a massive bell built in the Hemadpanthi style. The main sanctum of Bhimashankar sits at a lower level from the ground, like in most temples of Lord Shiva. 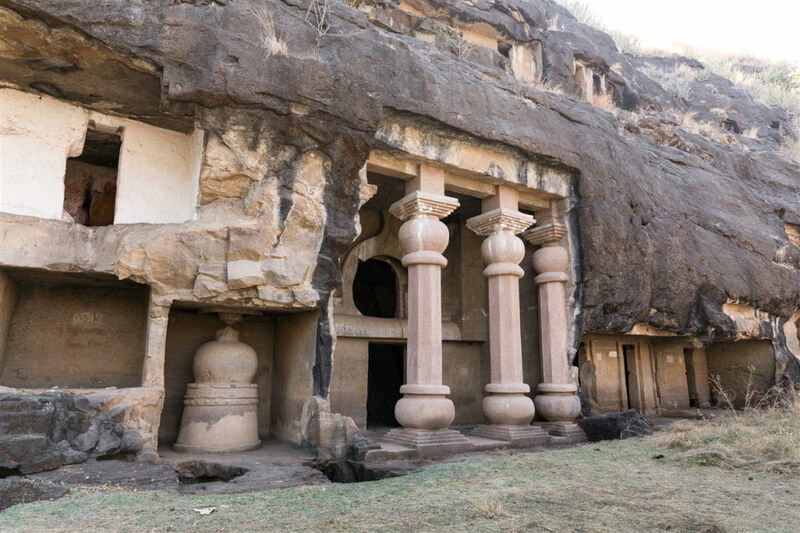 Outside the temple, in the surrounding hills of Manmad, you can find three stone-carved, Buddhist statues of Amba-Ambika, Bhootling, and Bhimashanker, sitting at 1034 meters from the ground. Behind the temple of Bhimashankar, there is a Mokshakund Tirtha dedicated to Rishi Kaushika and three other pilgrimage sites- Sarva Tirta, Kusharanya Tirtha, and Gyanakund. There is also the shrine of Kalmaja near the main temple, dedicated to Kalmaja- the goddess of the tree Kalamb and the ruling deity of the local tribes. 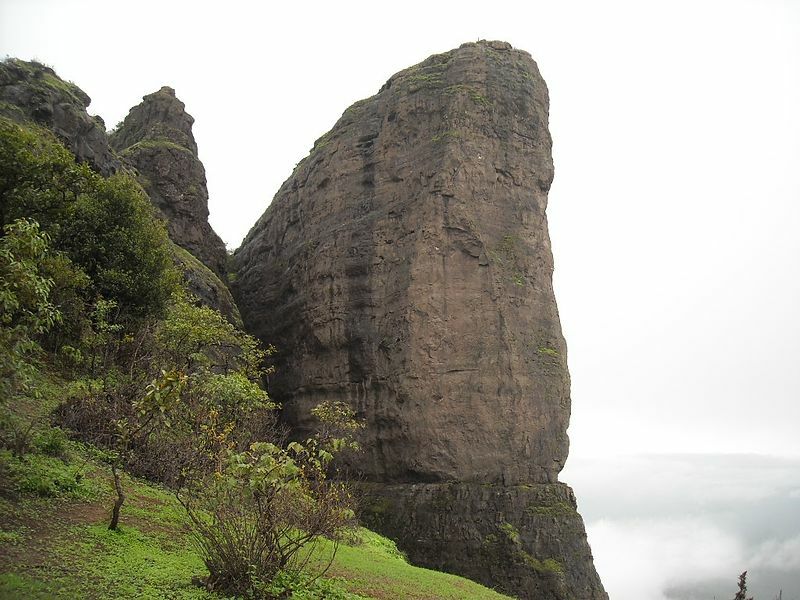 Besides its religious significance, Bhimashankar is also known for its scenic natural beauty. The site is surrounded by dense greenery, which houses abundant wildlife. Unexplored wilderness, rolling hills, and the gurgling waters of the Bhima River, make this area a trekker’s delight. Take a guided trek through the forests to reach the highest point at Nag Phani. Or walk to the Hanuman Lake. You can also opt for safari rides and experience the untouched nature. 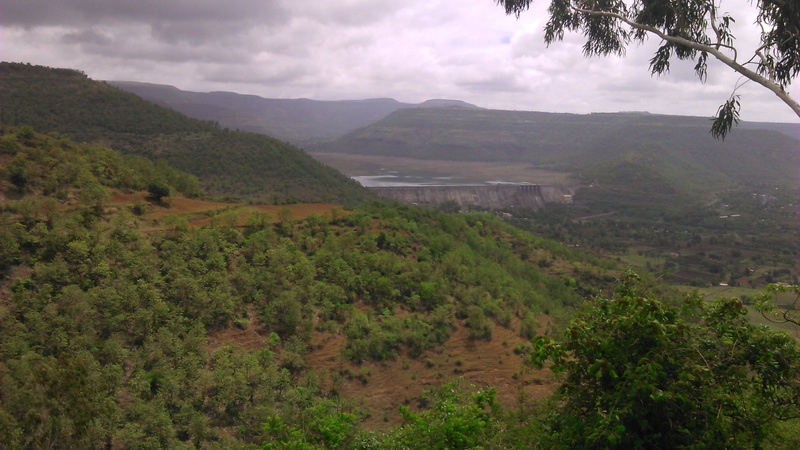 Being at the extreme end of the Sahyadri Ranges, these forests offer a splendid view of the surrounding landscape. During the monsoon, rain-fed rivers cascade down these hills, making for a delightful and picturesque sight. Explore the edenic wildlife of the Bhimashankar Wildlife Sanctuary. Spread across an area of 130. 78 Sq. Km. the reserved forest is home to numerous species of birds, animals, insects, and plants. If you are lucky, you might be able to spot the rare Malabar Giant Squirrel, also called Shekaru by the locals. The forest cover also serves as a treasure trove of medicinal herbs and plants, which grow naturally across an area of 120 sq. km. The town of Bhimashankar is truly an abode of peace and serenity. The temple and its surrounding natural landscape is a great respite from the urban chaos and invites all kinds of travellers to experience religion and nature at their best. The best way to get here is to book a cab from Pune or drive down yourself. Bhimashankar houses one of the 12 Jyotirlingas and has extraordinary significance in Hindu culture. It is also visited for its natural beauty and wildlife. The town is surrounded by dense greenery, which houses abundant wildlife. Unexplored wilderness, rolling hills, and the gurgling waters of the Bhima River, make this area a trekker’s delight.